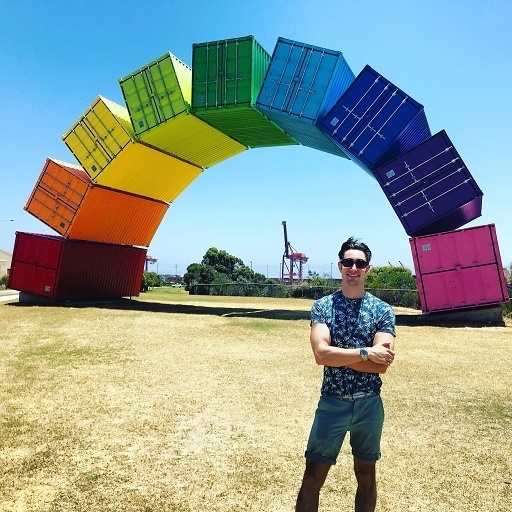 After Dr. Mike Spertus finished his post-residency fellowship, he applied for an international locum tenens position and is now about halfway through that assignment in Perth, Australia. He’s thrilled to be there, he says, and loves many things about the job, including: the flexibility, the clinical experiences, the travel opportunities, and the work/life balance. “You don’t have call-time or overtime,” he explains about his full-time role as a general practitioner. “You're not staying late to catch up on billing or case notes. And you get four weeks vacation right off the bat.” All of that makes it kind of feel a bit like a working vacation, he adds. One thing that drew Dr. Spertus to this assignment was the clinic’s openness to him doing some integrative medicine — the focus of his fellowship — such as acupuncture. “It took a little bit to get the acupuncture going, but I was able to. And I am really happy that my practice was open to this,” he says. At the clinic, he has seen newborns, pregnant women, adolescents, adults, and geriatric patients too — all with a wide variety of ailments. While on assignment, Dr. Spertus has received additional training in skin cancer protocols and mental health treatment. He appreciates how supportive the clinic has been of these educational seminars, as well as the opportunities to visit Melbourne and Sydney. Australia provides healthcare to all citizens, resulting in some differences from the U.S. system, particularly in billing management. “Healthcare is basically guaranteed, and the system is so much more streamlined because of that,” he explains. That’s one of the things that Dr. Spertus loves about his assignment in Australia — the streamlined healthcare system. “Everything at our clinic is pretty much a bulk-billing practice to the government. It makes billing super simple,” he explains. There is a bit of a hybrid system in Australia, points out Dr. Spertus, with some people getting private insurance on top of the government healthcare. When that happens, practitioners in Australia still don’t have to worry about billing insurance companies, as the patient is responsible for that part, making it easy for them to concentrate on providing quality healthcare instead of doing admin work. He also likes seeing Australia’s bird species and other wildlife, like quokkas, a marsupial animal that's native to Rottnest Island off of Perth. Dr. Spertus routinely visits the local vineyards and has adventured into the outback for camping and exploration too. He went to Bali twice already, for a yoga retreat and for exploration. “Bali is closer from Perth than most Australian cities — and cheaper to get to,” he points out. Dr. Spertus recommends that other physicians sign up for an international locum tenens assignment, especially right out of residency or post-fellowship before getting tied down. Check out more photos from Spertus’ Instagram takeover. 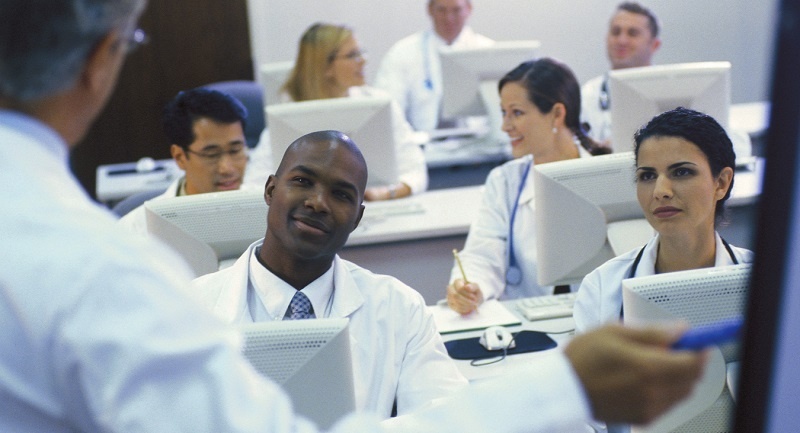 See 9 reasons to work locums after residency. Learn about the unique benefits of practicing healthcare in Canada, Australia, New Zealand, and Guam. Interested in starting your own international locum tenens adventure? Browse our current opportunities by clicking the button below. Or give us a call at 1.800.760.3174. We're always here to answer any questions you might have. After long hours with low pay and years of education and training, you’ve finished your residency. Hurray! It’s a momentous occasion. At this point, many doctors take a long-term position, but some opt to go with a locum tenens assignment instead. Locum tenens allows new physicians the chance to explore, travel, gain additional experience, make great money, and find work-life balance — among numerous other benefits. Here are nine reasons physicians choose to work locum tenens after residency. Locum tenens provides freedom, flexibility, and travel opportunities. Domestic locum tenens positions pay competitively with long-term positions, and some pay even more than a typical full-time position, particularly if a client needs to get a shift covered right away or in certain high-demand specialties like psychiatry. In addition to the potential for a higher salary, locum tenens positions include housing or a housing allowance, along with malpractice insurance coverage, and some even include a transportation allowance. 3. Test run a geographical location or healthcare facility. Not sure where you want to settle down. You can try out different locations across the U.S. with a locum tenens assignment. We have numerous positions in many locations across the country. You also might be able to find a locum tenens position in a specific healthcare facility in order to get a feel for the team, administrators, and working style ahead of signing a long-term contract. “Locum tenens provides so many more options to figure out where you ultimately want to land. Or maybe you’ll find that you want a career doing locum tenens and not feel so tied down to one practice or one setting,” Mathis says. 4. Gain exposure to different practice settings, care delivery models, and health systems. Experiencing how healthcare is delivered in remote parts of the U.S. or other parts of the world can put a fresh spin on medicine. Depending on the assignment, you can see what it’s like to practice in a small hospital, a small private practice, a large hospital, or even a government-funded healthcare system like New Zealand or Australia. With locum tenens, you can show up, work your 40 hours, and detach without being responsible for client billings, lots of on-call hours, and vast amounts of paperwork. This is a perfect way to recover from the long hours of medical school and residency, explains Dr. Johnny Shen. Dr. Shen so enjoys the work-life balance that working tenens provides that he’s made it his full-time career, and he’s only one of numerous doctors choosing this route for most or all of their careers. 6. For international assignments: New culture, new country, decent pay — plus, you’ll broaden your knowledge and CV. International assignments allow you to live like a local somewhere else. You’ll spend enough time in the new place to thoroughly explore it, while meeting a network of locals (who often become friends) that will steer you to the location’s very best places. Additionally, with locum tenens, you’re working in areas of need, so your medical skills truly help people, which also expands your skill set and adds to your CV. 7. A long-term, high-paying practice in another country. For physicians looking to make a permanent move to another country, locum tenens provides the perfect route. We secure the assignment, the work visa, and pay many of the travel/living expenses for the duration of the initial contract. This sets up a physician to more easily secure a resident visa and begin living in the foreign country permanently. Dr. Tara Piech pursued locum tenens with the goal of using it as a stepping-stone to move permanently to New Zealand. Dr. Piech, her husband, and son were drawn to New Zealand "for the weather, the nature, the relaxed lifestyle, the sensible political climate, and the universal medical care," she says. She took a locum tenens assignment as soon as she retired from the military and made it permanent from there. "We also have physicians who complete a typical international contract of nine months to a year and fall in love with the area, the people, and the way of practicing medicine," says Lindsey Schoenberg, Global Medical Staffing placing manager. "Some of them then rearrange their life to make a permanent move possible. 8. Waiting for your life partner to finish school or residency. If you have a partner still in residency or undergoing some other type of job training, locum tenens can provide you with money and valuable experience — while your partner catches up so you can look for full-time positions together. For good reason, residencies and teaching hospitals are set up to help ensure that an individual’s inexperience does not harm a patient — and many larger facilities continue to somewhat limit autonomy. If you are looking for more responsibility, with locum tenens, you can choose an assignment that’s a better fit. Whatever you’re looking for in your career, locum tenens can help you find it. Ready to explore our positions yourself? Click the orange button below to browse our current openings or give us a call at 1.800.760.3174.